Wrestling with faith and doubt can be profoundly lonely and isolating. Some suffer in silence while others abandon belief altogether, assuming doubt is incompatible with faith. But can doubt actually strengthen faith? What are practical ways for Christians to move through doubt—about such topics as the silence of God and the problem of suffering—into deep faith that embraces the mystery of belief? 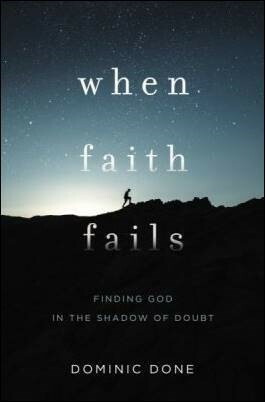 Bible Gateway interviewed Dominic Done (@DominicDone) about his book, When Faith Fails: Finding God in the Shadow of Doubt (Thomas Nelson, 2019). What role does doubt have in a Christian’s journey of faith? Dominic Done: I love the word ‘journey,’ because it captures the heart of what it means to know God. When Jesus invites us to follow him, it necessitates movement, motion, and change. This means there will be seasons on the journey where his presence is real and tangible, closer than our next breath. This also means there will be times when it feels he’s a thousand miles away. In times like these we doubt. It’s important to realize, however, that doubt is normal and natural. Doubt is part of the complicated, enigmatic, beautiful mess of relationship. Just as love for someone you know is deepened through uncertainty—because your uncertainty fuels the quest for knowledge—so too, our love for God has the potential to deepen through uncertainty. The role of doubt, then, is one of invitation into a robust, more authentic, more loving faith. Doubt urges us to chase after God. It may not seem like it at the time, but doubt isn’t an obstacle. It’s an opportunity. To grow. To learn. To be changed. To go further on the journey than you ever imagined. Explain the meaning of your book’s title. Dominic Done: When Faith Fails is meant to express the pain and reality of doubt. Christian subculture, through songs, sermons, books, etc., often accentuates the joys and positive sides of faith. Faith is often portrayed as a perpetually happy, wonderful experience. However, what often gets dismissed or ignored is that faith isn’t always easy. There will be times when our faith raises more questions than answers. There will be times when it feels like our faith has failed. What then? That’s why I added the subtitle, Finding God in the Shadow of Doubt. This is meant to express hope. Even in those times when our faith fractures, confidence erodes, and our grip of God is weakened—God will never let go of us. He’ll never fail us. He’ll never abandon us. He’s found, even in the haunting, lonely shadows of doubt. Why is it important to acknowledge limitations? Dominic Done: Because limitations provide the context for our doubt. Frequently we’re taught, or wrongly believe, that doubt is the byproduct of our sinful desire. That’s an unhealthy place to begin. It places all the blame upon those who struggle with doubt; and marginalizes, condemns, and pressures them to suppress doubt in the name of faith. A much healthier place to begin is by looking at doubt not as sin, but as a byproduct of the limitations of our understanding. Because we don’t have all the answers (even with Google at our fingertips!) we’ll naturally struggle with questions about God, faith, the Bible, etc. Once we acknowledge these limitations, we can revisit our doubts and engage with them—though not from a place of fear or guilt, but honesty and expectation. What do you mean, “doubt is the neutral space between belief and unbelief”? Dominic Done: Doubt isn’t the same as unbelief. In Scripture, unbelief is defined as willful, angry rebellion against God. Unbelief is deliberately choosing darkness over the light. Or what’s false over truth. Doubt, however, is neutral. Doubt says ‘I don’t know what’s true, but I want to learn.’ I don’t know where the light is, but I want to get there.’ Doubt is restless, searching, seeking; always growing, asking, probing, yearning. This longing can lead one towards faith. (It’s also true that it can lead towards unbelief!) It all depends on how we respond to our doubt, and the direction we choose to go. How are the Psalms a raw expression of doubt? Dominic Done: A large percentage of the Psalms are lament. This is a genre of Scripture that’s unafraid to ask difficult and painful questions. These are songs that ask ‘how long O Lord?’ or ‘Why have you forsaken me?’ In these songs, the authors come face to face with fierce and fiery questions about their faith. Yet, rather than suppressing them or pretending the questions don’t exist, they bring them into the light. They sang their fears, prayed their heartache, wept over their loss, and screamed out for God to meet them…and he did. Why can the Bible be trusted? Dominic Done: There are numerous archaeological, historical, linguistic, and anthropological reasons for trusting the Bible. But, ultimately, I trust the Bible because Jesus did. He saw the Bible as so much more than just an archaic list of rules, but as a vibrant, living, inspired library that revealed the heart of God. Dominic Done: I wanted to wrestle with one of the hardest questions of our faith. Let’s face it, if God only spoke more clearly or audibly, a lot of our doubts would immediately dissolve. So why doesn’t he? In this chapter I describe the agony of not hearing from God and what it feels like when he appears to be silent, but then I suggest that maybe God speaks in ways that we don’t always recognize. One of the most haunting verses in the Bible says: “You were there and I knew it not” (Genesis 28:16). I think, someday, we may look back on this moment in eternity and realize that maybe he was communicating—in all kinds of creative, subtle, redemptive ways. Through his Word, Spirit, nature, beauty, others…he is, after all, the God who speaks. The only question is: am I listening? How does a person overcome doubt and achieve confidence in faith? Dominic Done: I wish there was a simple formula, a TED talk, or three easily memorized points all beginning with the same letter—but there isn’t! The journey of moving through doubt into faith is a long, tenuous, complicated process. There are no easy answers. There are, however, practical ways we can strive to overcome doubt. In the final chapters of my book I unpack spiritual practices such as prayer, community, and a commitment to learn that can help us move towards deeper faith. What is your objective in writing this book? Dominic Done: To help those who personally are struggling with doubt, or know people who are. I’ve gone through years of doubt, and it’s one of the most painful, disorienting experiences imaginable. And yet, I’ve discovered that doubt can be redeemed: the presence of doubt, like a heavy weight, is a resistance that has forced my faith to grow. Surprisingly, I’m thankful for it now. It’s my deepest hope that the words of this book would inspire, motivate, challenge…and, ultimately, bring people closer to Jesus. Dominic Done: “Lord I believe, help my unbelief” (Mark 9:23). This was whispered by a man who was desperate, broken, and discouraged. He was honest. He didn’t hold back or pretend. He was real with Jesus. And what I love is that Jesus didn’t push him away or judge him for his less than perfect faith. He spoke with him, loved him, and brought healing into his life. Dominic Done: I’m a huge fan of Bible Gateway. It’s one of the most incredible (and free!) resources available. I use it constantly, and recommend it for Bible study, research, and encouragement. Thank you so much for making it available! Dominic Done: When someone struggles with doubt, typically they’re given two options, and neither one is good. One is to demonize doubt. Here doubt is suppressed and ignored. Another is to idolize doubt. Here doubt, deconstruction, or even abandoning faith is seen as the only logical outcome. I want to argue that there’s a third way. And that is to wrestle with your doubts. Suppression doesn’t work because doubt can’t stay down for long. Deconstruction can only take you so far because there’s only so much you can take apart. Wrestling with doubt, however, creates space for authentic faith to grow. And it’s there, in that place of wounded, struggling, gritty faith, that we encounter not a list of simplistic, clichéd answers, but the presence and friendship of God. When Faith Fails is published by HarperCollins Christian Publishing, Inc., the parent company of Bible Gateway. 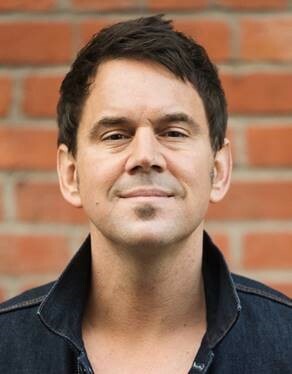 Bio: Dominic Done is lead pastor of Westside: A Jesus Church in Portland, Oregon. He has a master’s in theology from the University of Oxford and a master’s in religion from Liberty University. He previously served as a pastor in North Carolina and Hawaii. 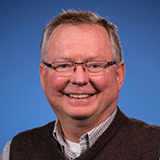 He has also taught English for companies in Europe, lectured in theology and history at various Christian colleges, worked as a radio DJ, and lived as a missionary in Vanuatu and Mexico. Dominic is married to his wife, Elyssa, has a daughter named Amelia, and a fuzzy Goldendoodle, Bella. You can connect with Dominic on Instagram and Twitter @dominicdone. Strengthen your faith with deep Bible study when you become a member of Bible Gateway Plus. Try it right now!